ASURE Scenic Route Motor Lodge is Geraldine’s newest and only 4 star motel complex in the Geraldine township. Our motor lodge accommodation offers 14 modern, spacious studio units, and 2-bedroom units. Our quiet self contained units are serviced daily and most units have Air Con/Heat Pumps. All units come with fully equipped kitchen facilities including microwave, en suite bathrooms, spa bath in luxury executive and honeymoon suites, King or Twin bedding, Sky TV (32" LCD screens) and free Wifi. The village of Geraldine is set on the popular Southern Scenic Route from Christchurch to Queenstown. 90min from Christchurch, 60min to Tekapo, 120min to Mt Cook and 30min to Timaru. Geraldine provides a central base for exploring South Canterbury. An ideal location for your first or last night of holiday, before flying home via Christchurch Airport. Stefan and Jizelle look forward to hosting you at ASURE Scenic Route Motor Lodge. Modern studio suite, King-size bed (sleeps 1-2). Double glazed for quietness and warmth with Air con and heat pump for guest comfort. 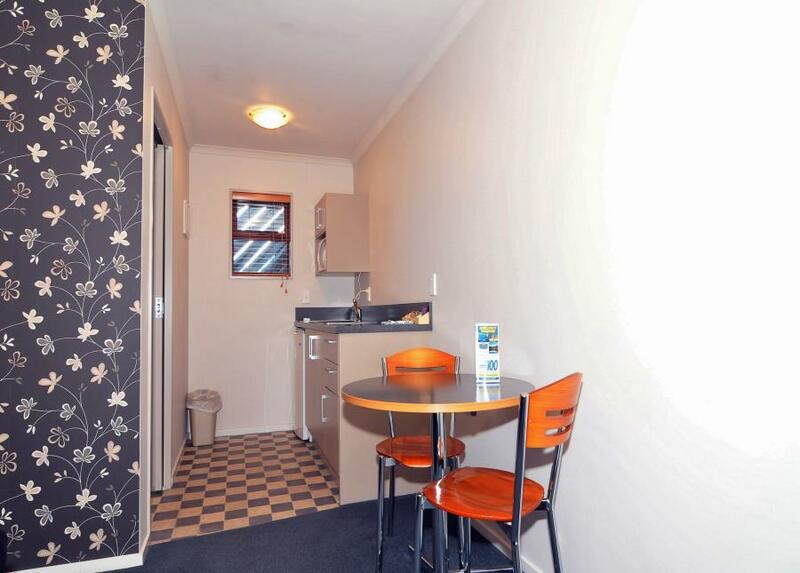 Electric blanket, fully self-contained kitchen, ensuite bathroom with shower, hairdryer, 32" LCD TV with Sky. Work station with wireless broadband. Access suites available. Superior suite, King bed (Sleeps 1-2). Double glazed for quietness and warmth with Air con and heat pump for guest comfort. Electric blankets, fully self-contained kitchen, large ensuite bathroom with spa bath, hairdryer, 32" LCD TV with Sky. Work station with wireless broadband. Superior studio suite, King Bed and Single Bed (Twin share sleeps 1-3 guests). Double glazed for quietness and warmth with Air con and heat pump for guest comfort. Electric blankets, fully self-contained kitchen, ensuite bathroom with shower, hairdryer, 32" LCD TV with Sky. Work station with wireless broadband. Superior large Two Bedroom Suite. 2 Bedrooms, 1st with King Bed, Work Station and TV, 2nd with 3 single beds. Double glazed for quietness and warmth with Air con/heat pump for guest comfort. Features our largest living area which families enjoy with LCD TV and a fully self-contained kitchen with oven. Lovely ensuite bathroom with shower and hairdryer. Wireless broadband - Fantastic sized suite.